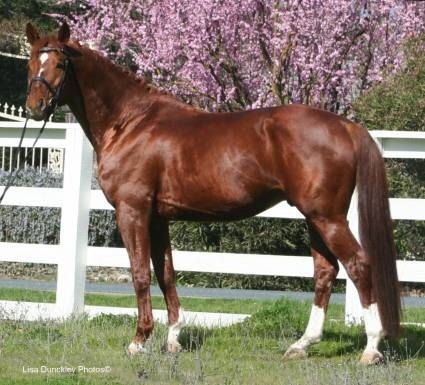 American Warmblood is more of a "type" than a "breed" of horse. Like most of the European warmbloods, with the American Warmblood there is more emphasis on producing quality sport horses, rather than the preservation of any particular bloodlines. This allows for much diversity in the bloodlines of American Warmbloods. The American Warmblood has been influenced by the European warmbloods, the Thoroughbred and the Arabian, as well as some draft horse breeds. There are two registries in the United States which recognize American Warmbloods - the American Warmblood Society and the American Warmblood Registry, both of which are recognized by the World Breeding Federation for Sport Horses. American Warmblood horses are usually between 15 and 17 hands (60 and 68 inches, 152 and 173 cm) high and may come in any color, though the solid colors are the most common. Horses of nearly all bloodlines are eligible for registration as American Warmbloods, as long as they are of a sport horse or warmblood type, and are able to meet the appropriate registry requirements.